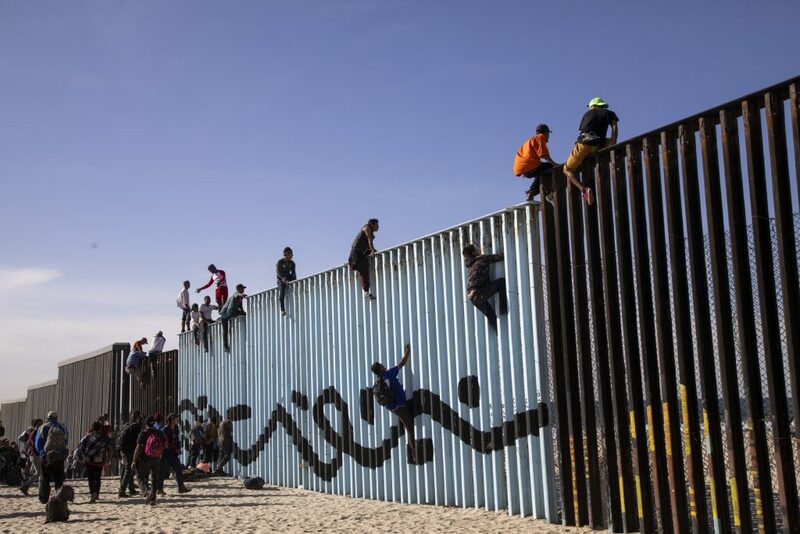 About 20 Central Americans, part of a migrant caravan that left Honduras a month ago, scaled the US border fence in Tijuana in southern California on Tuesday, according to media reports and eyewitnesses. The migrants sat on top of the fence for about 20 minutes and caused a US Border Patrol unit to be called to the scene. The fence, which separates Mexico from San Diego and the Border Field state park, extends into the Pacific Ocean. Since the arrival of the migrants, border agents were seen patrolling the area in trucks, 4-wheel-drive vehicles and on horseback. Other migrants stayed on the Mexican side of the fence, with some swimming in the sea, without the incident escalating. This group is part of a contingent of about 360 Central Americans who arrived on Tuesday in Tijuana, in southern California, ahead of the rest of a caravan of the 5,000-strong caravan also heading for the US border. “I feel happy, I feel glad, because thank God we are here just one step from entering the United States,” said Jose Mejia from Honduras. “It’s not easy, but … the main thing is to reach the frontier and then see what happens,” he added. The group arrived in Tijuana on buses. Other members of the caravan were still more than 2,000 kilometers behind in Guadalajara, where they complained that the local authorities were not providing them with vehicles. Other groups of Central American migrants are also crossing Mexico towards the US. The caravans were one of the top themes in last week’s US midterm elections, with President Donald Trump vowing to block asylum applications by people who try to enter the United States illegally.